Dog owners are healthier than those who don’t own a pet. It’s a fact! This might sounds strange, but owning a dog means that your brain secretes more serotonin, endorphins, and all the other hormones and enzymes that make people feel happy. And feeling happy means less stress. On top of that, owning a dog means that you need to take him out for a walk on a regular basis, as well as play with him from time to time. And this means that you get to spend more time being active than people without any pets. Actually, the people from BMC Public Health have calculated that dog owners get about 22 minutes of physical activity per day more than people without pets. What this means is that thanks to your four-legged buddy, you get to boost your metabolism, burn calories, breathe fresh air, curb down high blood pressure, fight depression and anxiety. Obviously, owning a dog is great for you, but you can amplify all of these benefits easily. How? By taking a part in some kind of dog-friendly sport. Here are a couple suggestions! Sled-pulling is a big thing in some parts of the world, particularly those near the polar circle. How it works is that dog(s) pull a sled on snow, with you, the owner, inside the sled. Of course, you can’t do this if you live in sunny Australia, or some other part of the world where there’s literally zero snow. But, instead of sleds, you can use rigs. Dryland mushing is a practice that can be done literally in any part of the world. And it’s basically the same as sled-pulling, the main differences being that you’re not going over snow but dry land and that you’re sitting in a cart with wheels. Obviously, this is a sport that’s gonna provide your dog or dogs a lot of exercise, but what about you? Well, it may seem like you got nothing else to do but sit in the cart and enjoy the ride, but you actually have to put a lot of effort in commanding the dog team. Whether it’s cross country running or jogging on the beach, you probably don’t want to do it on your own. Running a half-marathon takes more than two hours for most people. Imagine being stuck with your own thoughts for over two hours. You would get bored. You can tackle this problem in several ways, e.g. listening to your favorite albums or podcasts. But, we got another suggestion – jogging in pair with your four-legged friend. The best thing is that if you two get really god at this, you can take part in a competition such as canicross, for example. Dogs have more than 6 times the number of olfactory receptors in their noses than humans. Furthermore, they also use a much larger percentage of the brain for smell analyzing. What we’re trying to say is that your furry pal is really awesome when it comes to tracking scents. And you can use this knowledge to have some fun with him. Tracking trial is what you should give a go. How it works is that you create a scent trail by dropping tracks across a route that you’ve picked on your own. Or even better – have some of your friends do it. This way, you let the dog lead you till you two discover the item left by your friend (usually a part of clothing). The best thing about this is that you can compete against your friends. You pick their trail and leave the tracks along, while they do the same for you. Which team completes the task first is the winner. This practice has become a real trend lately, as it combines the healing powers of yoga with the fun you get by playing with your dog. The clue is in the name really – you do yoga poses with your dog. Whether he climbs on your back while you’re doing balasana or he goes under you while you’re in chakarasana, it’s up to you. Whatever you do, your pup is surely help you make regular yoga more exciting. It’s basically soccer for dogs. The difference is that that ball is much larger, but the point of the game is the same – your pup needs to drive the ball into the opponent’s goal. The official rules of treibball say that your dog needs to drive eight balls into a soccer goal in a specific time period. But, you can always adjust the rules a little bit. For example, you can compete with your friends (and their dogs) who’s going to drive the ball over the pitch faster. In order for your team to win, both you and your dog need to pass the finish line faster than your opponents. Dog agility is a sport that combines all sorts of activities, including running through tunnels, jumping over obstacles, etc. The role of the dog is to finish the course as quickly, while your job as the dog owner is to direct him though the right course. 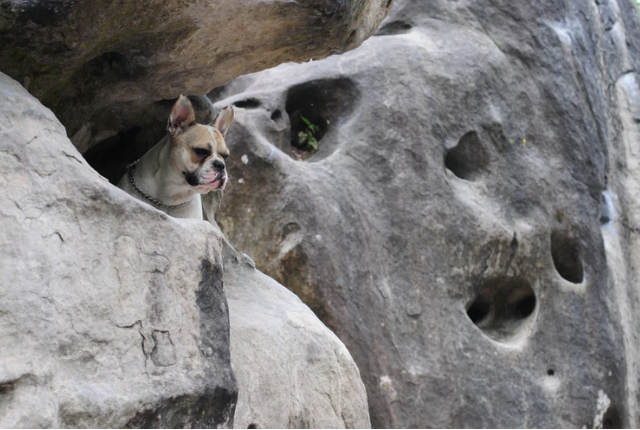 Because each course is different, not just in shape but also when it comes to the type of obstacles, in order to be successful, having an athletic dog is not enough. The owner also has to be really good at this. Action photography is the term to remember. Making a photo of your dog flying through the air while catching the ball or jumping over obstacles can look much better than making a video of it. After all, everything happens so fast, so the video might not be the coolest possible way of recording how awesome your pup is. Catching the best possible moment is challenging, so you might wanna consider hiring a professional dog photographer. With the right equipment, and plenty of experience with these kinds of things, they’re guaranteed to make photos you’re gonna be proud of!